The next generation of 18650 batteries are here. 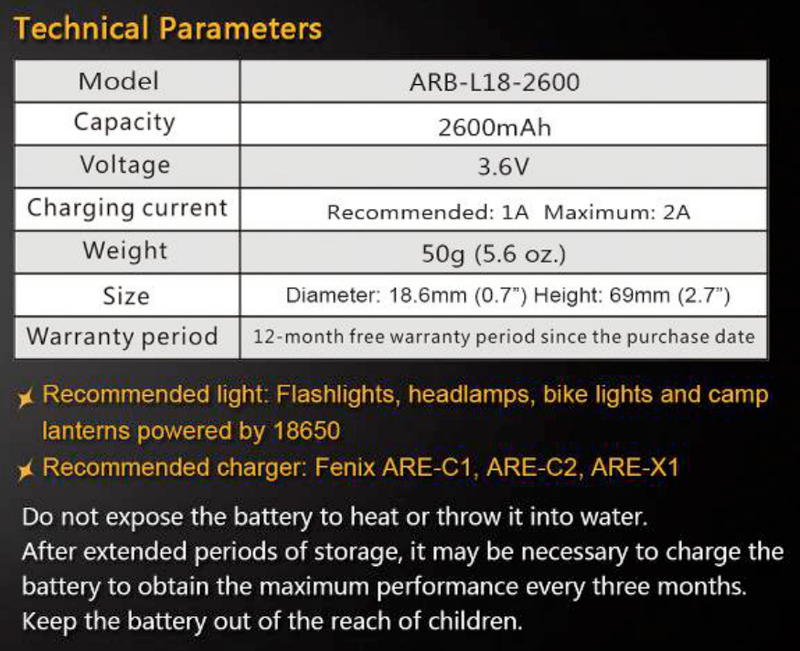 Introducing the top-of-the-line Fenix 18650 battery--an amazing 2600mAh rating. Fenix has increased its emphasis on safety by building in features to prevent short circuits and design multiple layers of protection. The new button-top design better accommodates a variety of flashlight brands. Fenix continues to be an industry leader in lighting and battery innovation. Notice: The price is $13.95 for one battery. Packed one battery per package. This battery is a button-top battery. It is not the traditional flat-top Fenix style.